The Cozy Chicks Set a Pretty Table. 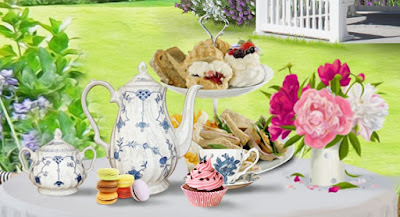 We'll be celebrating the publication of our latest group project, Tea Time With The Cozy Chicks, and we're hosting our own virtual tea party on Facebook. Haven't joined our Facebook Group yet? You can do it by clicking this link. Register for our October 15th event by clicking this link! And did we mention PRIZES? Just a few of the prizes we'll be giving away! Have you preordered YOUR copy? 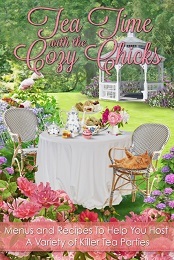 Tea Time With The Cozy Chicks will be available on Tuesday, October 6th!